At the College Park Dental Office we feature a friendly staff consisting of long term employees that are committed to serving our patients with the highest quality of dental care possible. For your convenience we are open five and a half days per week, including Saturdays! We have a highly skilled oral surgeon and periodontist at the office (on select Saturdays). Emergency appointments are welcome and usually seen within 24 hours. We speak multiple languages in our College Park dental office: Spanish, French, Persian, Tagalog, Vietnamese. 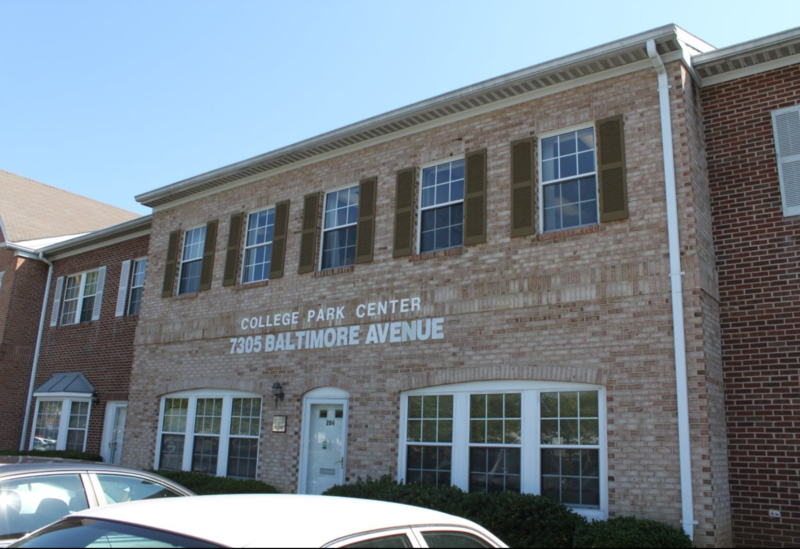 Our office is located on US Route 1, Baltimore Avenue, 2.5 miles South of the Beltway (I-495), exit 25B. We are located 2 blocks south of the main entrance of the University of Maryland, going towards Washington D.C.
We are directly across the street from the Applebee’s Restaurant. To get in our parking lot, you must turn on a small cross street called Hartwick Road and our entrance is on the right as soon as you turn in. Our suite, 204 is on the bottom floor of the front building-facing Route 1 under the letters on the building that say, “COLLEGE PARK CENTER“. Please see the map below for directions to our location. Please call us at (301) 238-7083 for more information. Para su conveniencia, se habla español en la oficina para atender a nuestros pacientes en su idioma. Para más información llame a (301) 238-7083.